Deceiving The Elect – Why Study UFOs? We believe that many within the church seem to take a perhaps misguided liberty of over-confidence, by assuming that they will not be led astray by false signs or doctrines. We remember Jesus said that false christs and prophets would appear to deceive the elect “if that were possible” and thus consider ourselves immune from deception, as if we just somehow automatically inherit an “anointing” to not be deceived. This is not the case however; in both recorded instances of that statement (Mt 24:24, Mk 13:22), Jesus followed it by emphasizing, “So be on your guard; I have told you everything ahead of time.” There is the implication that sound, anointed teaching is what guards the believer from deception, not some supernatural immunity. The church has always had to zealously guard against doctrinal deception. Much of Paul’s writing is dedicated to refuting false doctrines that were creeping into the early church, and leading many astray. Relevant to this age, we are specifically told in 1 Timothy 4 “… that in later times some will abandon the faith and follow deceiving spirits and things taught by demons.” Ephesians 4 affirms that the pastor/teacher has the charge to prevent this. UFO “theologies” (opposed to genuine research and science, we encourage and affirm) are among the chief false teachings of our age. These false teachings are widely proliferated on the internet, ever claiming credence from ongoing UFO sightings worldwide. It’s doctrines are leading millions into an unbiblical – antichrist, even – worldview. Our experience is that these false doctrines are also causing the falling away of many within the church, who now give heed to deceiving spirits and doctrines of devils. This trend will continue as “ufology” winds its way from the lunatic fringe of research, and (like evolution) becomes accepted as mainstream “science.” We believe the church, by NOT studying or providing sound Biblical teaching on this topic, is likely to make the same mistake we did with evolution – we allowed ourselves (and the world) to believe that perhaps evolution and creation were compatible in some way, leading to a severe erosion of society’s trust in the Bible’s accuracy and authority – and ultimately a “godless” worldview. 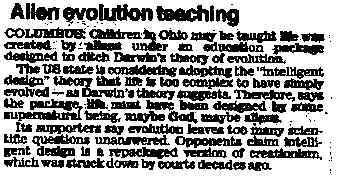 evolved – as the Darwin Theory suggests. been designed by some supernatural being,maybe God, maybe aliens. One has only to look at the rise of Mormonism or Scientology in years past, to see the threat here. These cults took from the church those multitudes who were not fully grounded in the Word of God, nor had a Biblical understanding of how to refute the deceptive philosophies being introduced to them. Additionally, nearly every person we meet at UFO Conferences, and speak with who are in UFO Cults, tells us that they “used to” belong to a Christian church. Generally, they left and began seeking other answers when a Christian parent or leader could not – or would not – take their experiences and inquiry seriously enough to respond with Biblical answers. The concern here is that one does not have to join a cult to be influenced by the doctrines of the New Age arm of ufology. We have merely to turn on our tv set, as popular culture is now aggressively thrusting these ideas upon us. Some grade schools are now introducing books or programs that promote “brotherhood” with our space visitors. 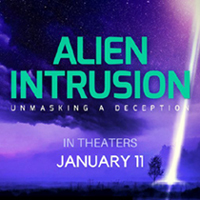 We believe such “falling away” is easily preventable, but only if Christian leaders will become theologically equipped to understand the UFO/abduction phenomena, and provide a scriptural lens by which to interpret the New Age fantasy doctrines of popular movies and television, and the UFO cults themselves. Sadly, far too many Christian leaders tell sincere inquirers that the Bible does not provide answers to their questions, so people leave with the impression that the Bible (and God) are not sufficient for modern man. A 1996 Gallup Poll revealed that almost 75% of Americans believe in UFO’s and/or extra-terrestrial life, and that 3% even believe they’ve been abducted (that’s over 8,000,000 people, if true). But how is today’s church responding to this people group’s need for truth? – by calling them crazy? – by merely referring them to secular psychiatric care? Is this topic truly beyond the church’s ability to minister to? Do we really have NO BIBLICAL TRUTH or hope to offer? Are we so deceived to think that for the first time in history, The Bible has nothing to say on a major subject of inquiry – perhaps THE major subject of inquiry for the 21st century? In practice, it seems that the church seems to think that God forgot to tell us something, and that perhaps we might have something new to learn from these otherworldly sources. If it were possible, even the very elect would be deceived, but our faithful Lord will not allow this to happen. An increasing number of ministers and theologians are now wrestling with the disturbing truths behind this subject. We heartily encourage those “true shepherds” to make a Biblical inquiry into the nature of this phenomenon, and to do all that can be done to equip those under your charge to not be misled by these teachings, which they are encountering almost every day. We believe that the idea that friendly UFO’s are here to help the planet will be the primary trigger of the end-times apostasy warned against in the New Testament. This topic cannot be ignored by the church for even one second longer. ….Our LION OF THE TRIBE OF JUDAH, the true Lord Jesus Christ of Nazareth who came in the fleshm to expose the deception of UFO’s, aliens, flying saucers, orbs, etc. to the whole world, to rescue as many as possible; to enlarge the marriage supper table of the Lamb to accomodate as many believers in these last days as possible!